I’m not sure what the proper name is for this card. 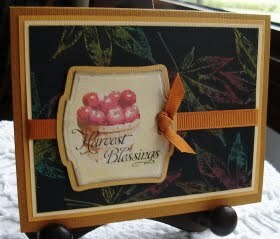 I looked up Popping Pastels and that didn’t seem to be what I did for this card. It’s just Versa Magic White Chalk, and Chalked. Very easy to do. 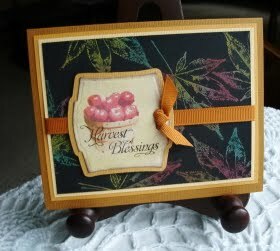 My background stamp is from Stampin’ Up and the center is Kitchen Sink stamps. This is soooo pretty Vada! Love that soft background. Hard to believe this is easy! That background is stunning against the black! Love this! Beautiful Vada! Wonderful use of the chalks.